This post is a little update to tell you that I am winding down this blog. But I have a new place for my writing www.damienclarkson.com, where I will be writing more broadly about my life, politics, cycling, environment and yes still running, veganism and health and fitness, please come over and say hi. Just to bring you up to speed. Over the past few months, I have been rehabbing my muscle tightness after the Edinburgh Marathon and embarking on physio. I am making progress but still definitely at a point where I have a lot of tension in my legs. 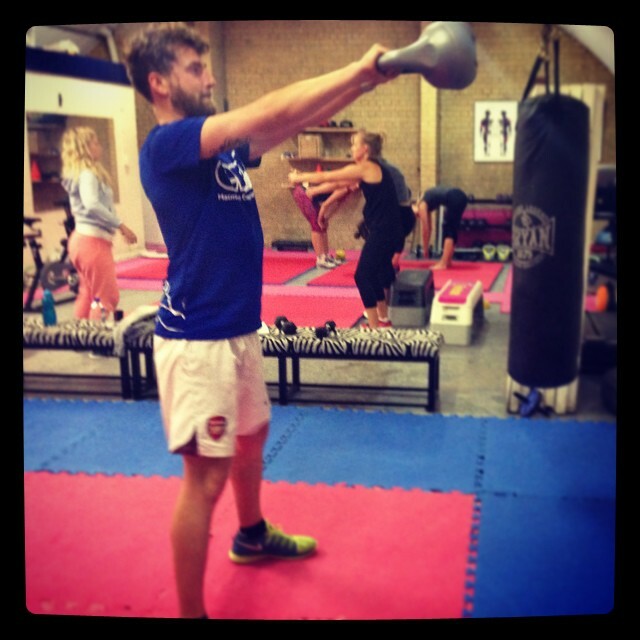 As a result I am running less, around 10 miles a week and mixing it up with cycling, swimming and a bespoke circuits style class with my friend Kate in London Fields called, Pump, Sweat and Burn. This blog has been a massive source of inspiration and support for me. Without it I don’t think I would be where I am now, which is basically the fittest, slimmest and healthiest I have been in a decade. You comments literally hundreds of them got me through so many tough moments. And I just want to thank you all from the bottom of my heart. You’re kind people putting love into the world and that is a powerful thing. One last thing tomorrow I am doing some unique. I am curating a 5km run mixed with a protest about the need to tackle climate change as part of The Future’s day of protest through yoga, running, meditation and dance. Which will take place in NYC, Berlin, LA, Sydney, San Fran, Paris and London as world leaders will meet at a special UN Summit on climate change. I have long been involved in the environmental movement and to combine these two things I love is really exciting for me. We’re meeting at Parliament Square in Westminster at 7:45pm. This is the event, please come and join me and The Future to call for urgent action on climate change and sweat a little bit. And I hope to see you all over on my new blog www.damienclarkson.com soon. 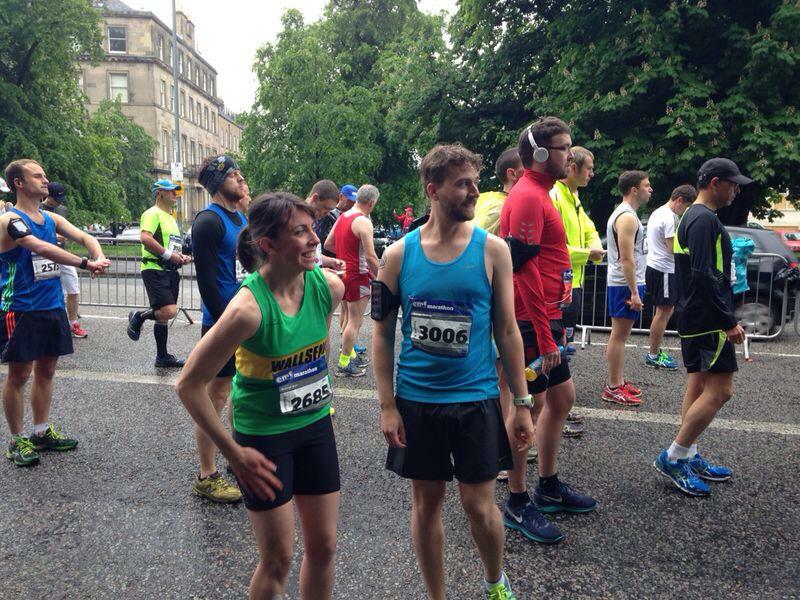 Well… I am not dead or crippled after the trauma of my Edinburgh marathon. But I am injured enough that I have been instructed to not run by the physio. This means from last week 6-8 weeks before I can run again. So as you can probably tell by my tone, I am slightly frustrated, after seeing everyone who ran Run Hackney with their shiny medals, I felt the need to rant and put this down on virtual paper, I hope you don’t mind. The good news is I can swim and cycle, so I am trying to see this as an opportunity to improve my all round strength and set myself up for completing some triathlons this Winter. The past week has seen me cycle 40 miles to Richmond Park which was so beautiful and a cyclists paradise. This weekend four of us cycled 25 miles to a pick your own fruit farm in Enfield and came alway with a bounty of delicious fruit and veggies. That being said sometimes running is a cruel mistress, she teases you with tantalising delights only to pull them away at the last moment. For me this means the most beautiful running months of the year are lost, I hope to come back and run some good 5K and 10K times in late August/September and hopefully squeeze in a half marathon and a couple of Sprint distance triathlons before Winter arrives. In the meantime if you want to come cycling with me let me know. And a lastly a massive congratulations to my friends who completed the Hackney Half today in the sweltering heat. Especially my friend Clare Foster who recorded a stunning 1:36. Also a massive well done to Helen Nickols, Richard Foster, Phillip Oliver and Jasmine Morris and everyone from GoodGym who made it round in the scorching heat. Well that was emotional but I did it. 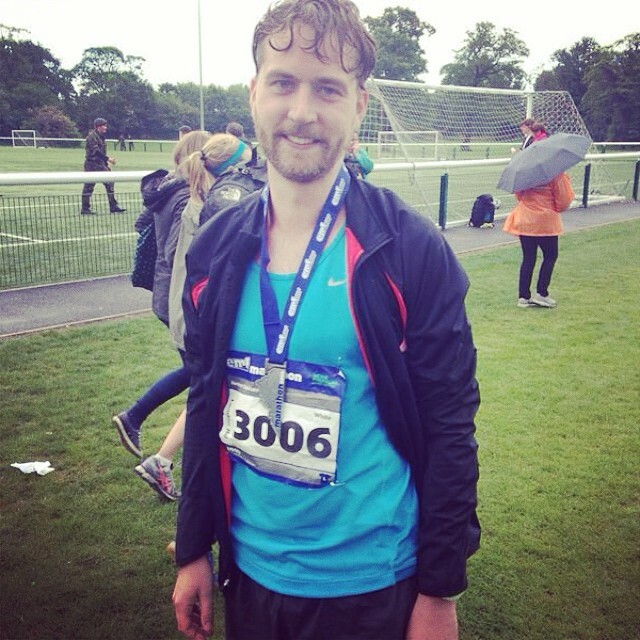 I ran a marathon before turning 30. However it wasn’t to be a glorious 3:45 marathon debut my training had pointed to but a real test of my ability to endure. Before the race my friend Nick told me that no matter what happens on the day remember the journey you have been on and the great experiences you have had whilst out training. I had to cling to words like those during the race as I stumbled across the line in a disappointing 4:26:12. 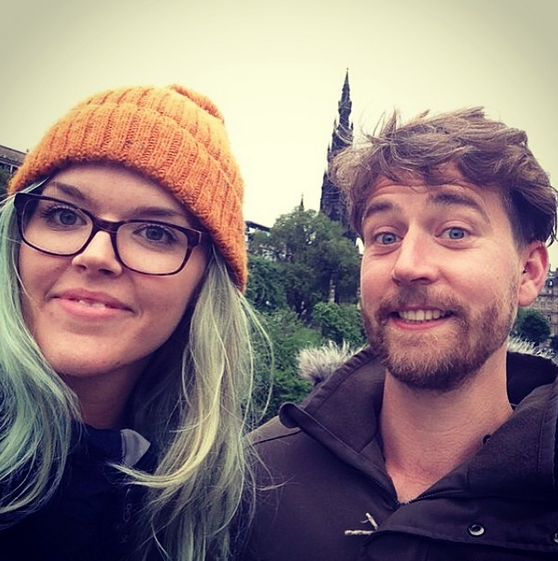 We headed up to Edinburgh by train on Friday, after some drama with the tickets we got there and headed to our Airbnb in Leith to stay with the lovely Janet. Being at Janet’s reminded me of my Mum’s, it was pretty untidy but full of beautiful pictures and interesting books and cats, Janet has great taste. We failed to consider that Edinburgh might be pretty packed and it was freezing and wet, so after being turned down by our restaurant of choice we spotted a Pizza Express and I finally tried their new vegan pizza which went down brilliantly. Saturday saw plenty of resting and a little trip into town. In the evening Kasia and I had the pleasure of hanging with Kayleigh and Tim. I met Kayleigh by chance whilst she was watching the London Marathon with her London running club the Mornington Chasers. We have a friend in common Hannah and realised we were running the same marathon, so we agreed to meet up. We went to David Banns and most of us had fantastic vegan food (Kasia’s wasn’t good) and a night of wonderful conversation. Both Kayleigh and Tim are more experienced runners than me and gave me loads of advice. This was just another example of how running has helped me make new brilliant friends. I woke up to rain after a surprisingly good sleep, slipped into my running kit, ate my 3 Weetabix and drank a pint of water. We headed to the race start with plenty of time to spare and stood around shivering in the rain for a bit. But after starting to warm up I felt the race nerves fade away. I met up with Kayleigh, we had similar target times and agreed to run together for as long as possible. Tim (2:53 PB) had advised us the night before to start really slow: “Think as the first 5k as a warm up”. This made perfect sense and despite the downhill we started really slow, just at a lovely cruising pace. During the first half of the race we made our way out of Edinburgh and along the windswept coast, the sea and coastline looked beautiful, it was definitely rugged and the strong headwind was a challenge, But as we left the city we were met with some beautiful views. Runners were jostling for position on the inside to shield themselves from the battering winds blowing across us. I joined in this game trying to get myself as close to the inside as possible. In the first half of the race I chatted to a guy called Paul from Birmingham who has ran over 150 marathons. He did his first one when he was also 29 to do one before turning 30 and never stopped. I remember him saying that his first one went badly wrong and he ended up at around 4:30. I remember thinking that is never going to be happening to me as we chatted away merrily till about mile 11. I carried on having lost contact with Kayleigh by this point but I was happy and feeling very much in control. All of a sudden at mile 13 my right knee tightened and every step felt like someone was hitting me in the knee with a hammer. Writing this a few days later think it was my IT band that failed me. I have been plagued by flexibility issues and during the race they all flared up all together in one big perfect storm of pain. After dropping my pace by well over a minute a mile between 13 and 14, I was despairing. I called Kasia to tell her my knee had gone and my race was effectively over. At this point I was still on for a 3:40 marathon debut but I just knew and my words were “I will finish but it will be more like 4:30”. I then proceeded to go through a whole roller coaster of emotions. The injury meant I couldn’t drive my right knee through. I decided to switch to a shuffle essentially, by opening my feet like a duck, I could move so that my knee didn’t kill. The problem was that this started to stress other parts of my body, the walls really came tumbling down. The running part of this race was over, I had literally gone from gliding to hobbling in the space of a mile. This hadn’t happened in 5 runs over this distance in training. It had been 20 miles in Poland before I slowed down to 10 minutes a mile, but here I was at mile 14 basically struggling to keep it there. The next phase was all about mental resilience. Paul glided past me, his words “I am going to slow down otherwise I will pay for it later” rattled around my head. I hobbled along until mile 19 then it really fell to pieces. This was the part of the race where there were sparse crowds. My hamstrings had decided to join the pain party and completely tightened up. I was left cursing myself for not stretching more or getting involved in yoga. From this point onwards it was a shuffle/run walk affair with stretching every half a mile and a bit of walking. Cardio wise I felt fine, I was actually a little bit cold once the sun went in as I was moving so much slower than I am accustomed to. During these dark moments as my ego was taking a crushing my mind wondered to some interesting places. My thoughts drifted to hearing two time Ironman Champion Chris McCormack talk about walking in Ironman races. 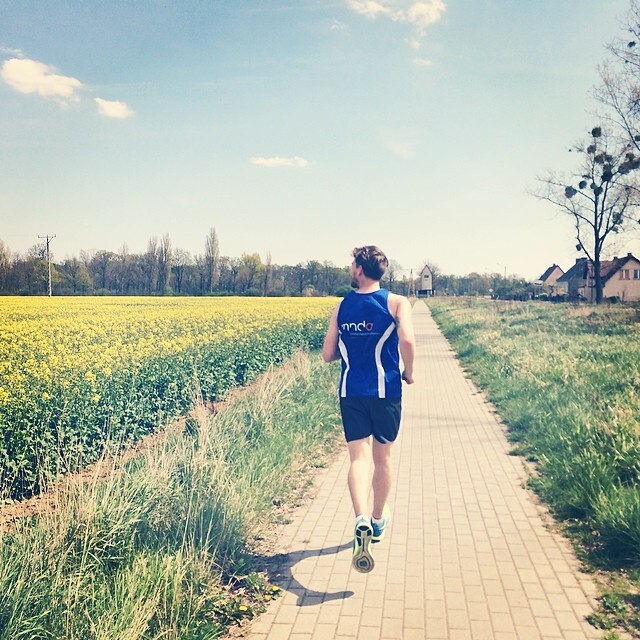 Rich Roll taking part in his first Ultraman and employing a walk 1 mile, run 1 mile strategy. Dave Scott’s form collapsing and pace dropping from 6 minute miles to 10 minute miles when he was overtaken after 24 miles running neck and neck in the final miles of the 1989 Ironman (The Iron War) but still chased Mark Allen in hope he still might fade.. I felt humbled, I felt like a baby, an arrogant baby having a sulk in my head because my body shut down and taught me to respect the marathon distance. 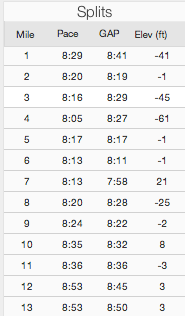 I really felt like my pacing strategy was fine. I was running the same pace as my second longest training run and slightly faster than my Poland run but it was just total collapse. I didn’t feel hungry or thirsty just tight, my movements were totally constricted. Being passed by thousands of runners was a hard experience for me to take. 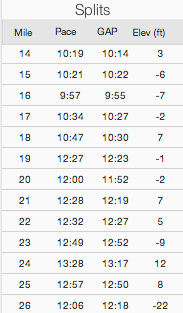 My second half of the marathon was a whole 1:36 slower than my first half 1:50 with it taking a total of 2:36. Possibly the worst negative split in history, perhaps the hard hill runs I had done to Hampstead hollowed out my legs, perhaps the move, the illness, not getting above 20 miles since my 21.7 (3:15) training run in Poland had done for me. Whatever it was it hurt, it hurt real bad in my legs and in my head. Perhaps I had delusions of grandeur, just because I can run a 1:50 half marathon with ease doesn’t mean I can do a sub 4 marathon. I don’t know. I can honestly say that the crowd were amazing on the way back into Musselburgh the last couple of miles saw people shouting great encouragement and anyone who was there cheering us on I thank you from the bottom of my heart. As we arrived into the finish, I managed to string together a mile of shuffle run heading towards the line I felt a sense of relief wash over me. I couldn’t wait to see Kasia as it had been nearly 3 hours since I had talked to anyone (no one wants to talk to the person they are overtaking). But I did it, I crossed the line in 4:26:12, I joined the marathon club before I turned 30. At the end of the day, that is what I originally set out to do back when I started this blog in September. It wasn’t the result I was hoping for but now the dust is settling I am pretty sure I will run another marathon, perhaps in the Autumn if not in 2015 for sure. For now I want to focus on shorter races, I have the Hackney Half Marathon in a months time and I want to start doing some ParkRun’s and focus on completing my first triathlon. Honestly although the marathon hurt me mentally and physically I can honestly say that journey towards it changed my life for the better. At 29 I am fitter and healthier than I have been since I was 21. I have discovered a way to explore my surroundings and calm my mind. I have come to realise that sometimes in running like life in general things don’t work out as we planned. However that doesn’t mean they are not worthwhile experiences, every bit of mental and physical anguish I experienced in the Edinburgh Marathon will help me become a better runner and hopefully a better person in the future. And to you the reader. Thanks for coming here and supporting me on this journey. The blog will continue as will the YouTube channel, I feel drawn towards triathlon at the moment and will be writing about my ventures into that world. You have been the best and anyone who has commented or interacted with me on this blog or on YouTube or Twitter, you have enhanced my life and I will be forever grateful to you for that. And to all my friends who have supported me throughout this journey especially my girlfriend Kasia Ring for being super supportive and enduring my endless run chat. I also couldn’t have done this without all the following people. My Mum for being a brilliant person and inspiring me everyday by being a wonderful person. My brother Adam for his words of encouragement and support with whatever I pursue. My regular training partner Clare Foster and her dog Watson, you both got me through some grim winter runs. Joe Phillips, especially for that 10 miler, Nick Jones for wise words and inspiring me the seek challenges. Kate Stewart for the regular words of wisdom and the spin classes. Sam Sparrow for being super solid friend and setting a great example of how to get your training done. Helen at Fix for mending me and Kierra Hautala (old housemate and also at Fix) for the great advice on stretching and impromptu massages. Ade Adoabe for the amazing PT and counselling and inspiration. Ivo Gormley for the words of encouragement and creating GoodGym. Lauren Garland, meeting you in Platform 15 months ago set me on this course and those first difficult runs with you helped set me on the right path for which I am forever grateful. My friend Aimee Harrison for getting me to do that Bushy Park 10k and giving me loads of advice along the way. My old school friends John Rendle and Peter Flexman for running the Greenwich Park 10k, you both will be coming running with me again soon. All the vegan fruit bats for rooting for me and Rich Roll, Durian Rider and Scott Jurek for being an inspiration. And everyone else who supported and inspired me along the way. I would love to hear from anyone reading this blog. How do I recover from this marathon? My legs are shot to pieces, where did I go wrong with my training? You can find all my training over on Strava, as always your support and advice is massively valued. Hello blog, anyone there? I wouldn’t blame if you found pastures new for your vegan running blogging tales. It has been ages and I apologise but let me bring you up to speed. In 2 weeks I will become a marathoner, I am not injured and I feel the fittest I have been in 10 years. The past few weeks have seen me go on holiday to Poland then Berlin with my girlfriend Kasia. 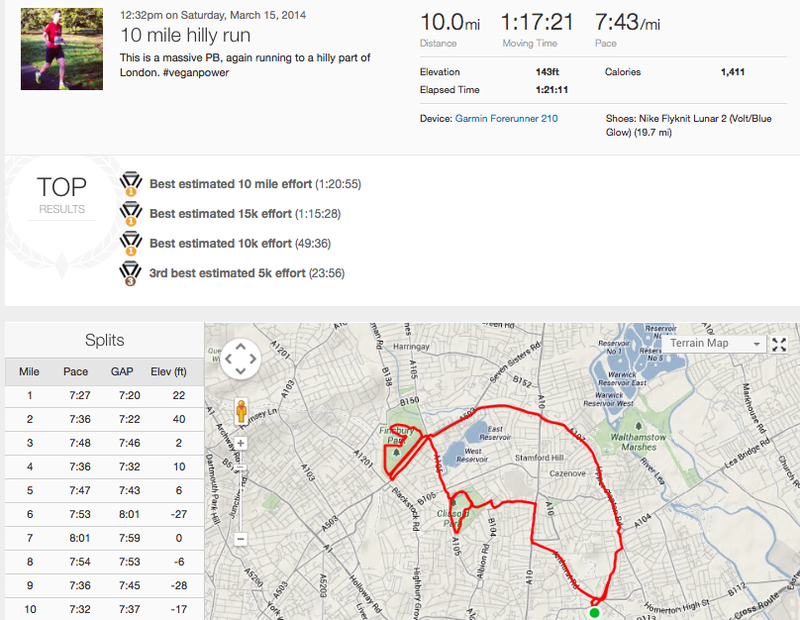 This happened to coincide with the longest run in my training plan; a 20 mile plus run. So with the trainers in my suitcase we went about mapping out a 20 plus mile run to the Polish countryside. Setting out from Brzeg we headed out of the town, whilst running I spotted a stork or top of a lamp post, it was seriously cool and apparently it is the Polish national bird. The weather was very hot 21 degrees but luckily I had Kasia riding with me on her bike passing me water and my raspberry clif gels. I did the 21.7 miles in 3:15 it was tough. When we turned around at mile 11 we went straight into a strong headwind and the pace immediately slowed. I had stupidly played football the day before and my hamstrings were very tight as a result. After this my target marathon time is 3:45, I feel if my hamstrings are a bit looser than they are at the moment, hopefully the taper will help, I could push to get around 3:30 but we will see. To be honest training the last few weeks has been sporadic at best, I moved house and then came down with a crazy 24 fever which set me back. I need to remember I am in taper mode but 23 miles solid running last week and only 13.5 this week isn’t probably where I should be. I have been getting all sorts of little niggles and anxieties as I am running less but I hear this is to be expected. My friend Sam Sparrow has been doing a great job of reassuring me this is just my head being a bit crazy. I do actually feel pretty good, even if I do worry my longest run was too far away from the marathon. This Friday’s run was difficult I collided with a pedestrian who dodged my friend Clare and stepped out from behind someone else straight into my path. It was windy and we ran to Highgate before rambling around the trails of Hampstead Heath, it was muddy it was windy it was hilly but we did a decent 8.5 miles. I have been swimming lots and making great improvements in the pool doing 1 mile swims of front crawl. I am finding the cross training is really helping with my core strength. I would love to hear from people who have run Edinburgh before, is there anything I need to be looking out for with the course? 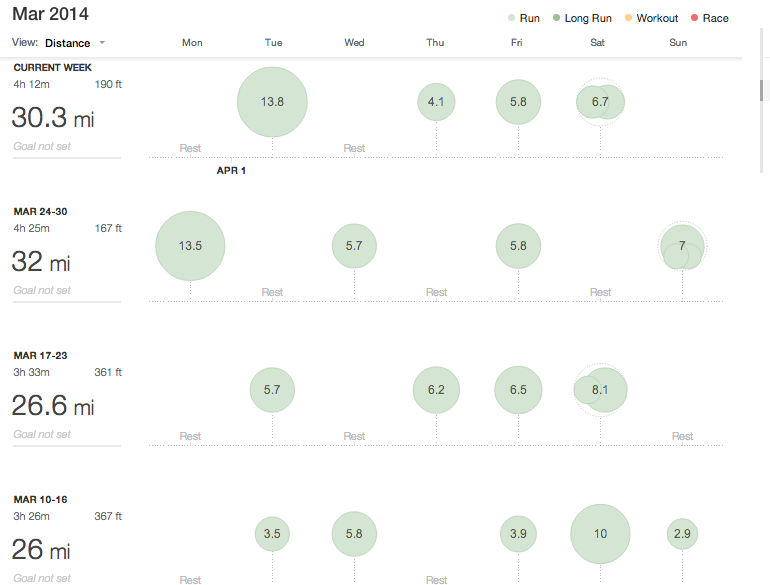 How much should I be running this week with the marathon 2 weeks away? I feel tempted to crank out another 15 mile run but I know that is actually pretty insane. But I am tempted… Very tempted. Thanks for all of your comments and support I can’t believe I am nearly there. 14 months ago I was heading towards being overweight and couldn’t run 2 miles. Now I am on the verge of running a sub 4 hour marathon on my first go. It feels like a big deal to me and I couldn’t have done it without you. Firstly, so sorry for the delay in updating you. After super consistent blogging since September I have fallen off the blogging wagon a little bit. Life has been interested, I have lots of new projects going on that have been demanding my creative energies and I am starting to reach the peak of my marathon training which thankfully has been going great recently. The past few weeks have seen me start to string together my long runs, I have only run 13.8 as my longest run thus far which took me 2:01 and I did a 13.5 mile run the previous week in 1:51 before the smog/killer air quality descended on London this week and slowed me down. I have switched my long runs to Monday and Tuesday’s, I am lucky that I work remotely and I am able to have a flexible schedule that enables me to train in the week. 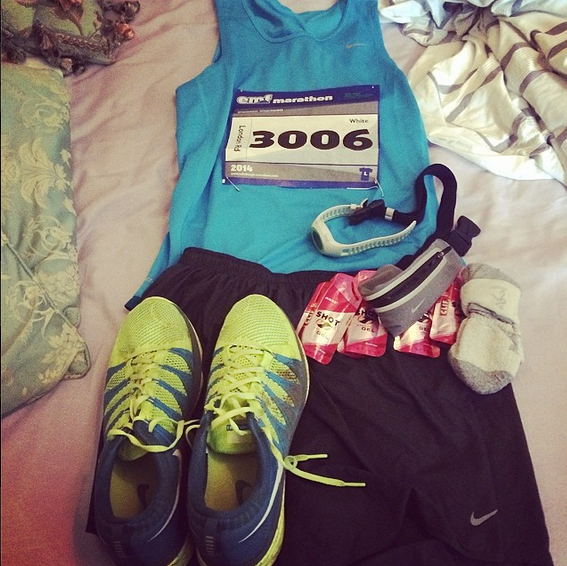 On Monday I will run for 2:40, I suppose that will mean around 18 miles which I am excited about. I found a tasty vegan Clif gel to take during my run, I will take them at around 1:10 like last week and perhaps 1:45 to see get the energy into me for the last hard couple of miles. My total Mileage has been pretty decent since I last updated you, I ran a total of 174km in March and already have clocked up 49km in April and 30.3 miles this week. The next are going to be chaotic. I am going on holiday with my girlfriend to Poland then Berlin. This will mean that my 20/23 mile run will probably be done in Poland or Berlin. Not ideal but it could be worse. I can’t wait to bring you some footage of those runs. I am actually getting quite heavily into YouTube where the Vegan Runner channel has now produced over 50 videos and has over 200 subscribers. I am actually vlogging on this channel everyday in April as part of the crew at #BattenVEDA. If you haven’t popped by come and watch me go a bit nuts about the air quality in London this week. Tomorrow it is 7 weeks until Edinburgh and my legs feel great. My recover has been really amazing, I am sure my vegan wholefoods diet is massively responsible for this. On my rest days this week I did a spin class and a 45 minute swim and I have no muscle pains touch wood. My concern is that I seem to either run long or 10k so I need more 8/10 miles, I am going to make that the focus of my running in the next few weeks as I take the mileage up to 35/40 a week. Experienced marathoners do I look on track? My stats are here on Strava, I would love some feedback. Who else is running Edinburgh? I would love to hear how your training is going in the comments below. Want to go harder, faster, longer? If so, you have come to the right place, get ready to receive some advice that will change your running for the better. It sounds simple but so many runners needlessly doubt themselves, I include myself in this category. If you have your trainers on and are getting out of the door you’re already doing great. Our bodies were designed to endure incredible physical stress, our minds on the other hand are prone to the odd wobble. For example this weekend at mile 7 of my run I thought I was literally done for but I got a mouthful of water and ended up running miles 7-10 quicker than miles 4-7. It was my mind that was playing tricks on me, my actual body was more than up for the challenge. I am not a doctor or a nutritionist but this much I know. A high-carb vegan diet rich in fruits and vegetables of over 3000 calories a day has seen me lose 7kg and this weekend I ran 10 miles in 1:17.23. I am still 10 weeks away from the Edinburgh Marathon and currently my recovery and energy levels are great and the PB’s keep coming my way. Get up drink a litre of water. Before breakfast, before radio 4, make it the first thing you do everyday. Hydration is essential to maintaining a health digestion. A well hydrated runner will start to come into their own in the later stages of the race. I made a mistake of under hydrating in my December Ashford Marathon and I will never do that again. I aim to urinate at least once every 2 hours making sure my urine is clear (I can’t believe I talk about urine in blogs). Runners smiling at me lifts my spirits and keeps my pace up, runners who saying hello actually make my day. Runners are a special breed; we only really understand each other the very least we can do is smile at each other. In 10 weeks time I will be running the Edinburgh Marathon, I literally can’t wait now Spring has arrived, I am getting faster, starting to dream about that 3:30 perhaps it is possible. After my 10 miles in 1:17.23 perhaps it isn’t a pipe dream after all. Let me know your tips for great running. Thanks for reading, you’re all superstars I appreciate all of you very much. Today is World Book Day! With the boom in the popularity of running, the advent of YouTube and more satellite sports channels, there are more great running books than ever. To celebrate World Book Day, I have decided to list a couple of the running books which has inspired me. No surprise here. The story sees Injury prone runner and journalist Chris McDougall goes in search of an elusive figure in the ultra marathon world Caballo Blanco (White Horse). His journey takes him the Copper Cannons the home of the worlds greatest long distance runners the Tarahumara. Chris explores the secrets of the Tarahumara, the history of ultra-running and science behind barefoot running. A group of the worlds greatest ultra runners end up in the Copper Cannons taking place in the greatest race the world has ever seen, this book includes vegan ultra running legend Scott Jurek. Rich Roll was 40 years old, unfit, unhappy in his career as a lawyer and a secret alcoholic. After his 40th birthday he decided this was going to change. 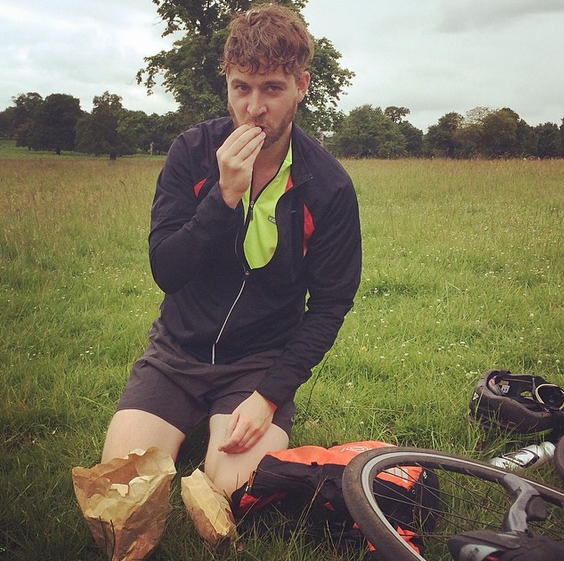 He embarked on a remarkable journey which sees him adopt a vegan diet and take part in Ultraman, basically IronMan x3, his journey is a remarkable one and essentially reading for anyone wanting to do something extraordinary. Scott Jurek is a legend in the ultra marathon world, he won the prestigious Great Western States 100 mile race 7-times in a row and the Badwater ultra marathon through Death Valley twice. 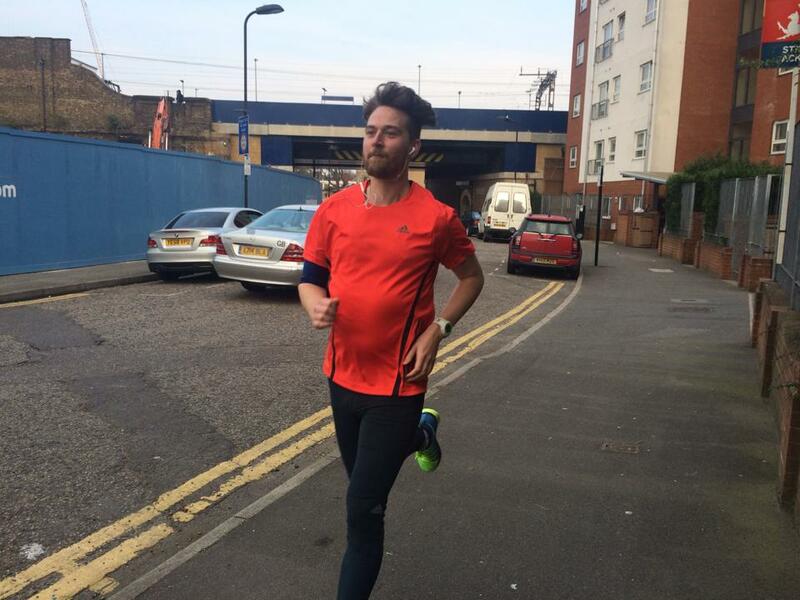 He discusses his upbringing and unlikely running journey. Scott went Vegan in 1999 and believes this has played a key role in ability to recover and run harder for longer. This book sees British author Adharanand Finn go and train alongside the aspiring runners in Kenya. He reveals their training secrets and he goes on a barefoot running journey of discovery. A runners classic, Murakami talks about what drives him to run, why running matters to him and how it enables him to write. A brilliant book which will make you look into yourself and explore the reasons you run. If you decide to buy these books, please do through using the links in the titles above. The money will go to funding the Rich Roll Podcast as I have used his affiliate links. What are your favourite running books? Drop me a tweet or comment below. Happy reading and running!